Rebecca's White Handle or ? Here's a couple photos for the catch of the day. 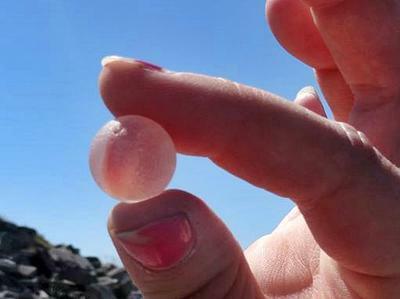 The first photo is Tracy and her pink sea glass marble, found at Moran Beach today. 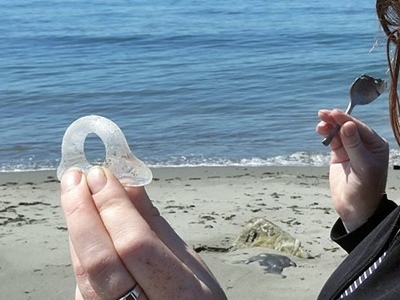 The second photo is Rebecca and her white, perfectly frosted cup handle or candy dish top, found at Moran Beach today. What is the public trust doctrine? It’s a legal principle that holds that certain natural and cultural resources are preserved for public use, and that the government owns and must protect and maintain these resources for the public’s use. Where did it originate? The public trust doctrine has a history that can be traced to Roman law, although the modern version is more recent. The Magna Carta signed in 1215 by King John of England and rebel barons restricted the right of the king and the nobility to use estuaries and navigable waterways for private use. Over time, British law came to interpret that as meaning the public has the right to the use of certain lands and waters for the benefit of all. That legal view was transported to the British colonies and has subsequently become the basis for public trust laws and doctrine in the United States. My wife and I were enjoying a beautiful afternoon digging through rock piles on Moran beach always on the hunt for a special piece of glass. We noticed a mother and her daughter also on the hunt for some seaglass. We spoke briefly with them and then they went on with their hunt. About fifteen minutes later we looked down the beach and noticed that some elderly woman was yelling at them and causing a scene. When the mother and daughter duo came back towards us we asked them what that was all about. They informed us that they apparently crossed into the woman's property and that she had verbally assulted them when they did not immediately run back to the public beach. We then noticed that this crazy lady had drove her car into the parking lot and was photographing all of the cars that were parked in the pubic lot. This lady even took photos my wife and I as we spoke with mother and daughter. Talk about crazy beach lady! Nobody was causing harm, they were just looking for seaglass. If you go to Moran beach be aware of the property lines otherwise some crazy lady will ruin your beach day. by: Moran Beach Property Owner. 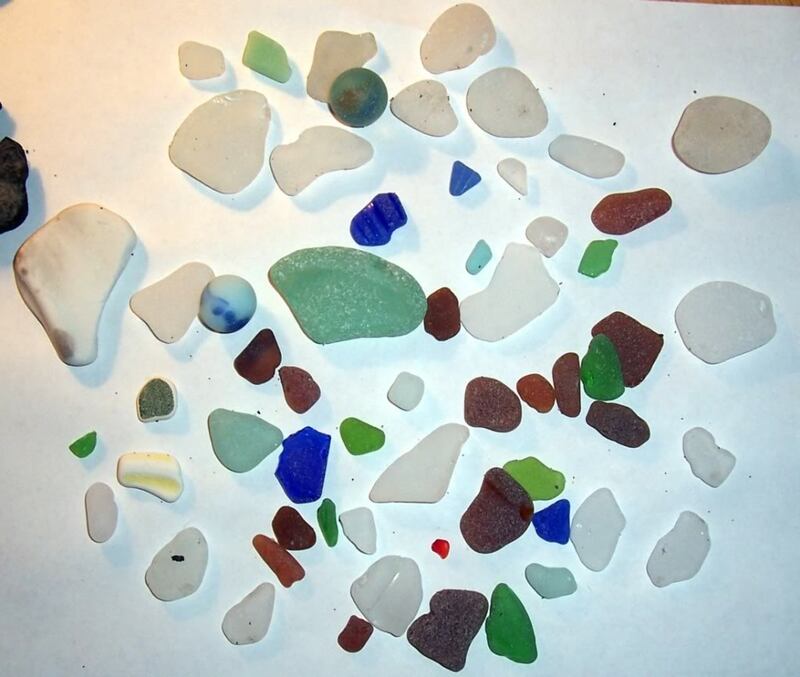 This is to notify you that people who collect beach glass on Moran Beach on Whidbey, are trespassing on PRIVATE beach and tidelands. Yes, we own out into the water, pay taxes on it and have homeowners ins. on it. Go online to Island County Parks Dept. 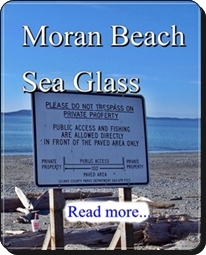 site and type in Moran Beach for verification. This is not a State beach like others on the Island are, so we can and have to restrict access from the public. Island County has a 100' wide park at the end of Powell Road for public use, but you may not go beyond those boundaries in either direction. Thank you for respecting our private beaches and tidelands. Please spread the word. 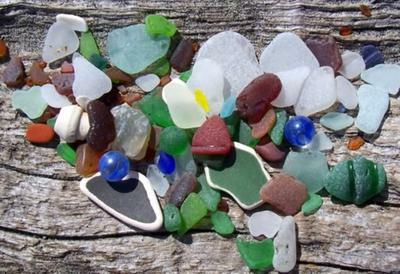 It's one of those beaches that you really need to search to find sea glass. But as these incredible photos show, it also produces excellent and unique pieces when you do "stumble" across a treasure.